Early-life stress is a potent risk factor for development of psychiatric conditions such as depression. The underlying mechanisms remain poorly understood. Here, we used the early-life social isolation (ESI) model of early-life stress in rats to characterize development of depressive-like behavior, the role of microglia, levels of histone methylation, as well as expression of glutamate receptor subunits in the hippocampus. We found that depressive-like behavior was induced after ESI as determined by sucrose preference and forced swimming tests. Increased expression of microglial activation marker, Iba1, was observed in the hippocampus of the ESI group, while expression of the microglial CD200 receptor, which promotes microglial quiescence, significantly decreased. 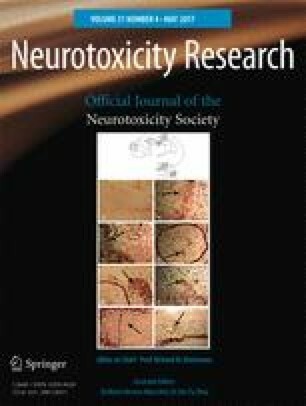 In addition, increased levels of proinflammatory cytokines, interleukin 1β (IL-1β), interleukin 6 (IL-6), and tumor necrosis factor-alpha (TNF-α) were observed in the hippocampus of the ESI group. Moreover, ESI increased levels of neuronal H3K9me2 (a repressive marker of transcription) and its associated “writer” enzymes, G9a and G9a-like protein, in the hippocampus. ESI also decreased expression of hippocampal NMDA receptor subunits, NR1, and AMPA receptor subunits, GluR1 and GluR2, which are involved in synaptic plasticity, but it did not affect expression of PSD95 and NR2B. Interestingly, treatment with minocycline to block microglial activation induced by ESI inhibited increases in hippocampal microglia and prevented ESI-induced depressive-like behavior as well as increases in IL-1β, IL-6, and TNF-α. Notably, minocycline also triggered downregulation of H3K9me2 expression and restored expression of NR1, GluR1, and GluR2. These results suggest that ESI induces depressive-like behavior, which may be mediated by microglial signaling. Hong-Tao Wang and Fu-Lian Huang contributed equally to this work. We wish to thank Xin-Fu Zhou from the University of South Australia for his critical reading of the manuscript. HW performed behavioral testing, immunofluorescence, immunohistochemical staining, and western blot experiments, and wrote the manuscript. FH was involved in qPCR experiments, data collection, and data analysis. ZH, WZ, and XQ participated in data collection and data analysis. YH helped with performing the minocycline manipulations. RD provided experimental suggestions and assisted in writing the manuscript. The corresponding authors FL and CL supervised, designed the project, interpreted the work, revised the manuscript, and provided funds. All authors contributed to the study and have approved the final manuscript. This study was supported by the National Natural Science Foundation of China (Grant No: 31171151 and 31371212 to Chang-Qi Li, Grant No: 81471372 to Fang Li). There is no data, software, database, and application/tool available apart from that reported in the present study. All data is provided in the manuscript. All animal procedures performed in this study were reviewed and approved by the Animal Care and Use Committee of Central South University and were conducted in accordance with the guidelines of the International Association for the Study of Depression.